Maili Saba Camp is a sanctuary of tranquility and conviviality that rejects the rigidity of modern life. Tucked away on the edge of the magnificent, dormant, Menengai Crater, Maili Saba accommodates only twenty pampered guests at a time. It embraces a warm casual atmosphere within African simplicity. Maili Saba Camp is Located in Nakuru – Kenya 20 Minutes away from Lake Nakuru National Park. If you want Experience African Simplicity in Rural Kenya! Maili Saba Camp is a sanctuary of tranquility and conviviality that rejects the rigidity of modern life. Tucked away on the edge of the magnificent, dormant, Menengai Crater, accommodating only twenty pampered guests at a time. 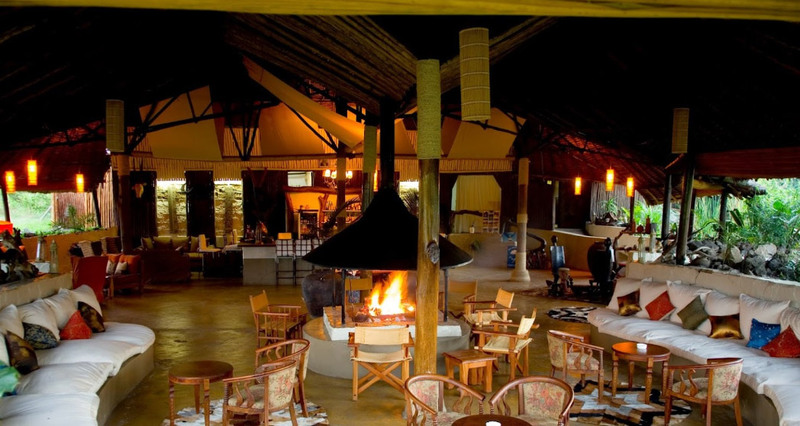 Maili Saba Camp embraces a warm casual atmosphere within African Simplicity. Maili Saba Camp offers a comfortable, relaxed and secure environment to suit your every need. 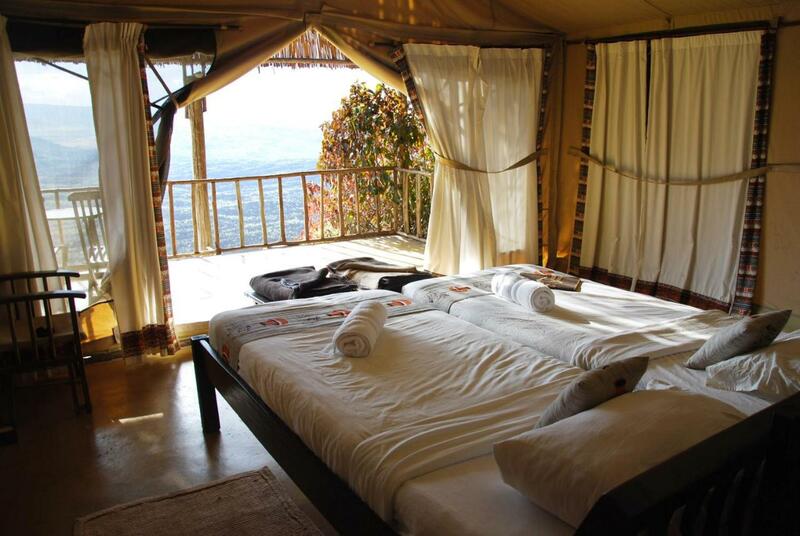 Maili Saba Camp boasts mountain views, free WiFi and free private parking, located in Nakuru. All units come with a terrace with pool views, a kitchen with a microwave and a fridge, and a private bathroom. A stove-top and kettle are also featured. Each, grass thatched tented banda, has its own unique view on the crater. The banda’s are all equipped with comfortable beds, a pleasant verandah or private terrace. Rinse of the safari dust under your spacious shower with all required facilities. Oil lamps set a romantic mood in our rustic restaurant and bar while during breakfast you can enjoy the magnificent, silent, crater view. Meals consist of fresh home cooked western and more Swahili influenced meals. Maili Saba Camp is conveniently hidden at just a twenty minutes drive from lake Nakuru National Park. Here game viewing can be combined with a quiet pick-nick overlooking the flamingo dotted lake.The wonders of nature can be visited either at the hot springs of Lake Bogoria where you can boil your own eggs as is a local custom among Kenyan visitors to the springs alternatively you can have lunch at the Thomsons Falls or visit Hell’s Gate National Park near the sweet water of Lake Navaisha. The Rift Valley provides one of the most breathtaking sceneries in the world. On request nearby golfing, hiking, biking, horse riding and ballooning are within reach. Nature walks down the Menengai Crater, ballooning safaris and game drives can be organized from Maili Saba Camp. Maili Saba Camp is located just off the Nakuru – Nyaharururu tarmac road just a two and a half hour drive from the capital Nairobi and Jomo Kenyatta International Airport . Convenient as a stop over for travelers on their way to Lake Turkana, Mount Elgon and Mount Kenya national Parks. Kisumu and the Ugandan border are only a day trip from here.